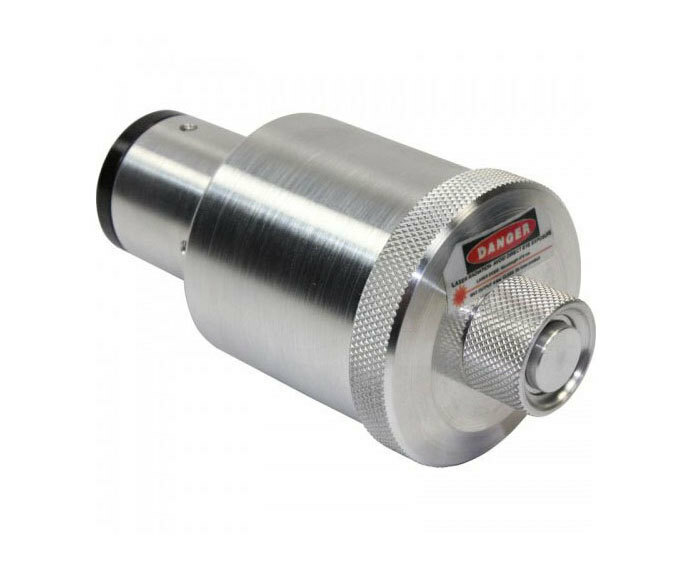 This dual size 1.25" and 2" collimator is ideal for people who own both focuser sizes. It may be used in a larger focusers with an accurate eyepiece adapter. The adapter itself can be checked for accuracy with the collimator by rotating the adapter and reclamping it, and seeing if the laser spot wanders. The Laser itself is tuned to a higher brightness than others. Each one comes with a 1mm Aperture Stop for a pin point laser dot. The 635nm laser is more expensive, but it enables Barlowed or holographic collimation in higher levels of ambient light. All of the collimators are powered by a CR123A lithium cell, giving about 40 hours of service. They come with one battery, a plastic case and collimation donuts. The Holographic and Barlow attachments (Sold Separately) can be used with any Howie Glatter collimator by simply removing the 1mm aperture stop at the end of the collimator and screwing on the attachment of choice. Official Dealer For Howie Glatter Collimator!